Because that delivery charge would have been a beast. Now that 3D-printing technology has become more vital and relevant than ever, Silicon Valley startup BeeHex has harnessed this technology to 3D print pizza. Yes, you read that right. 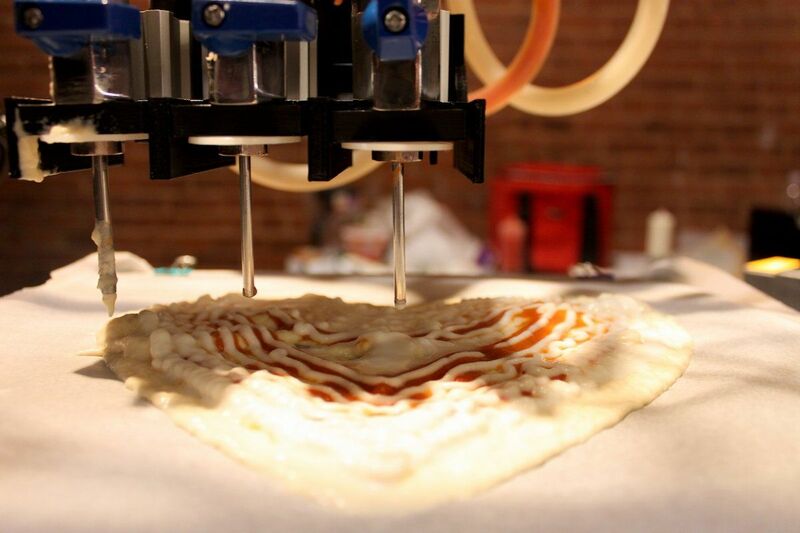 Edible, cheesy, delicious pizza can now be printed by a pre-programmed robot. Funded by a grant from NASA, the purpose of this invention was to create a way for astronauts to select and produce delicious food for themselves on missions. As manned missions to Mars become an ever-increasing possibility, astronauts might be spending much more time in space. To save space-goers from the drudgery of choking down freeze-dried, pre-packaged “space food” day after day, month after month, NASA decided it was time to develop a way to cook in space. This technology will soon be adopted commercially for us Earth-dwellers as well. The robot, which has raised $1 million in funding, will be branded as the Chef 3D. The Chef 3D is set to appear at theme parks, malls, and even sports arenas. While this may be yet another technology that replaces existing jobs for humans, it will be capable of creating food more quickly and cleanly than a human chef could. Who knows, perhaps the next time you go to see your favorite sports team play, you will be snacking on robot food.